Linda Narbeth established her company in 1993 having spent 20 years gaining experience in the private sector, which enabled her to become a leading business & personal development consultants, coach and leader. Over the last decade Linda has developed the company, which has grown to become a major player within the personal development and training arena in Wales. Linda has a tremendous ability to instinctively recognise potential within people. The development of that potential is key to her success and the foundation on which her reputation is built. Her approach to business is inspirational, she encourages her team and clients to use all of their skills with confidence and subsequently this attitude is naturally reflected in the company’s approach to its customers. Linda’s company offers professional development consultancy services that enable people to develop their skills and transfer them seamlessly into the workplace. Linda’s experience has given her the opportunity to excel as speaker and management development consultant. Working in both the public and private sectors, Linda’s specialist areas are management and leadership, personal development and identifying and implementing processes for managing change. In recognition of Linda’s hard work and subsequent success, she became South Wales Female Entrepreneur of the Year 2012. 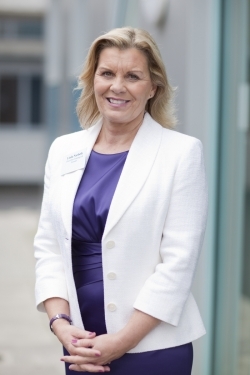 Linda also won the prestige award of “Learning Leader of Wales” in the Welsh Leadership Awards in 2007 and was a finalist in the 1995 ‘Welsh Woman of the Year Awards’ and in 1996 won the ‘Effective Returner’ category at the Awards. In 2007 her company achieved Investors In People reaccreditation and was put forward as an ambassador for IIP in Wales. In April 2007 Linda also received a recognition award from the World Wide Vistage International Group for her continued commitment to learning, self-development and care for her fellow members. (Vistage – The world’s largest Chief Executive Membership Organisation). In 2003 Linda’s company, won an award as one of the ‘Top Ten Best Managed Workplaces in Wales.